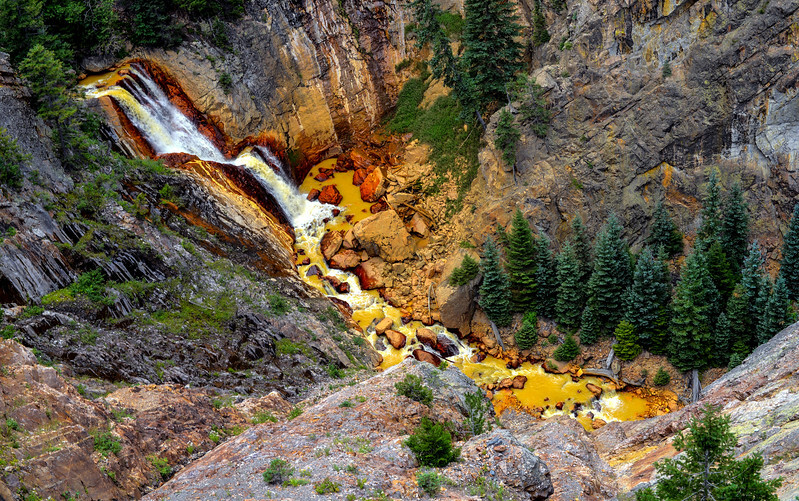 From the side of highway 550, the Million Dollar Highway, the Uncompahgre river carries sediment and color from the Red Mountains. This was a rare opportunity provided by a construction stop along the cliffs below the pass. Available as a print, gift, or electronic download. Click the buy button in the lower right corner. 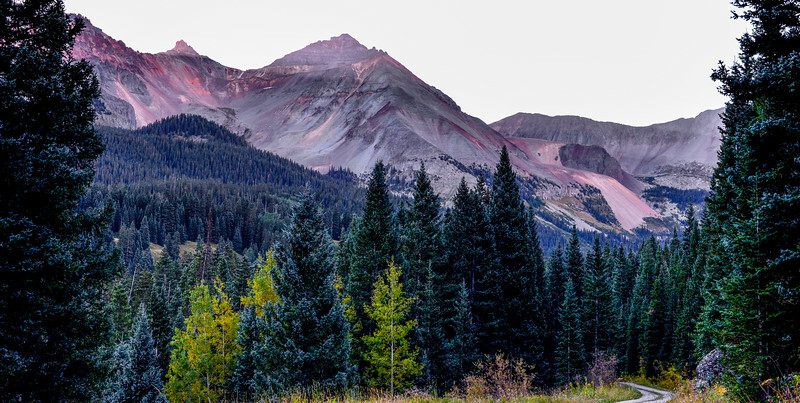 Changing Aspens above the Gulch that feeds Trout Lake in Colorado. A very special evening above Trout Lake. 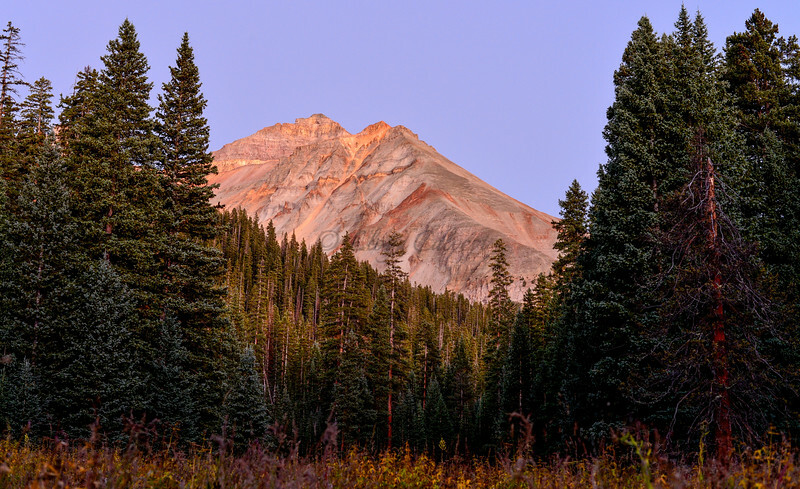 San Miguel Peak has become one of my favorite in Colorado. 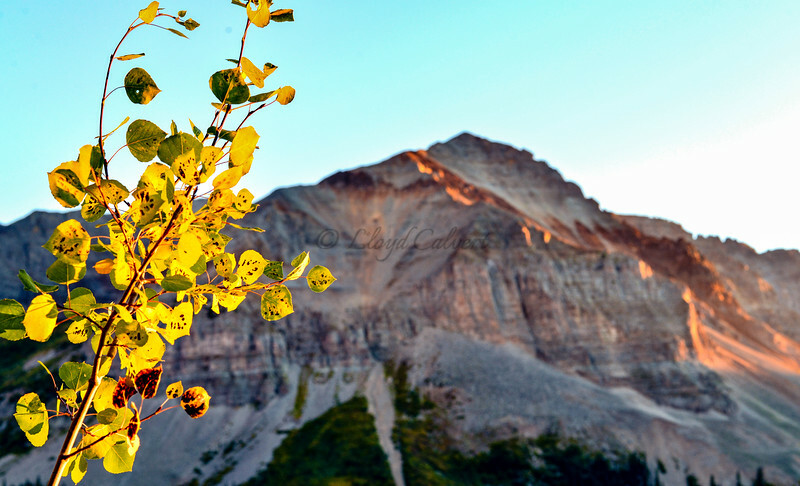 With the focus on this early changing Aspen and the last bit of glow on the peak it is one of my favorites! It reminds me of the pleasant evenings, crisp air, and spectacular colors of the best season, fall. 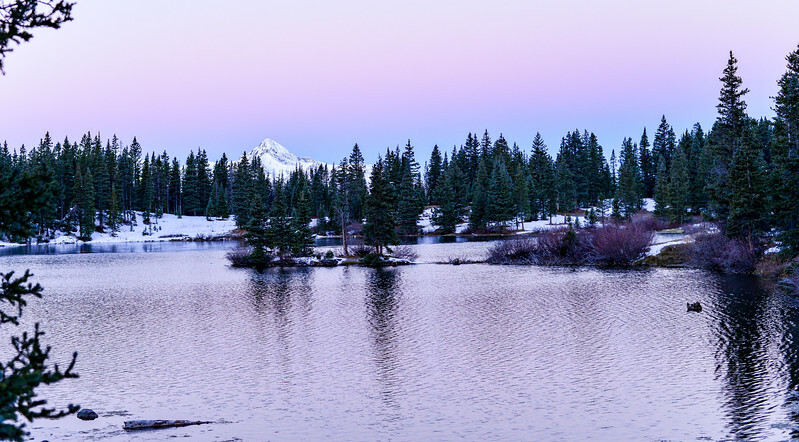 Vermillion Peak above Trout Lake at Dusk. 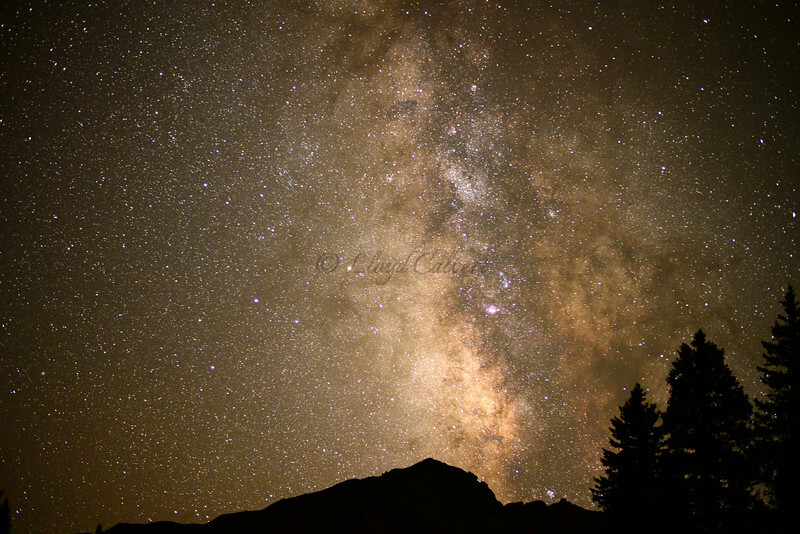 The Milky Way from camp at the Trail Head for Navajo Lake in the San Juan Mountains of Colorado. This was another milestone shot. 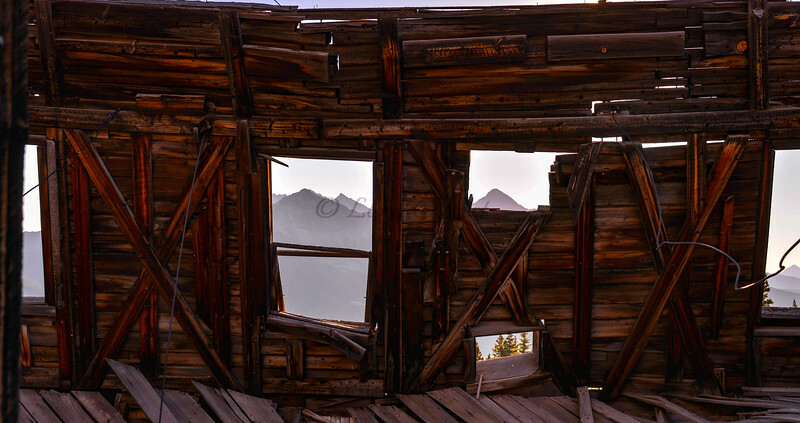 I've tried before to capture the mountains and the wood of a structure in the same shot and never had the right camera or settings. This one was instantly special to me. 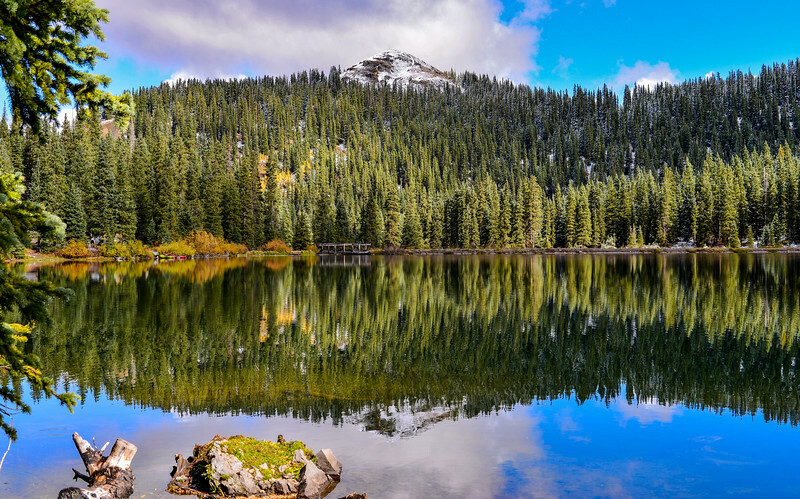 The first time up to Alta Lakes, and just an hour from where I live. It was warm, but in a late September kind of way. Wonderful smell of pine, Aspen, and the old building still hit me when I see this shot. 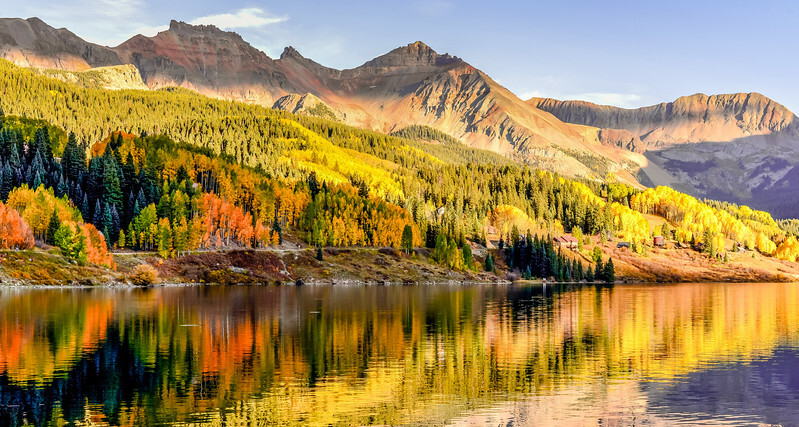 Alta Lakes is a very special place, lying just on the back side of Telluride ski resort. The sunsets are consistently spectacular and the atmosphere is rugged and raw. 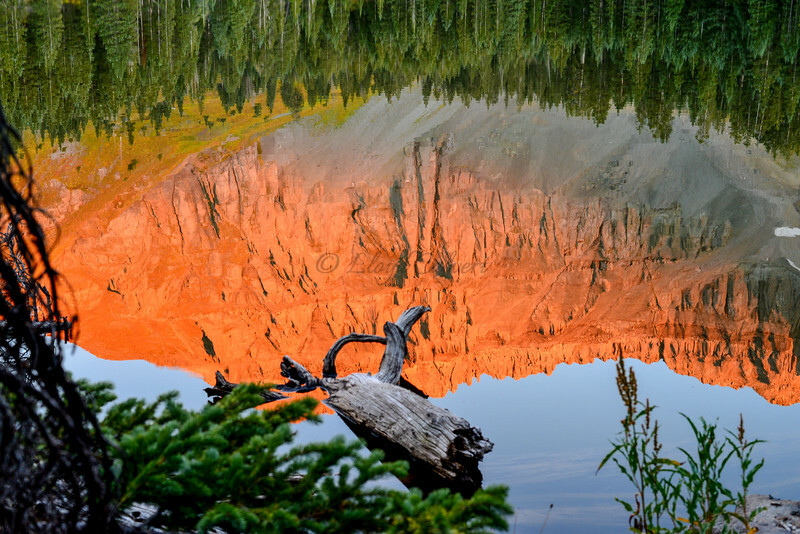 This is picture was a milestone for me with the the unusual angle, crystal clear reflection, and alpenglow. But it also makes me remember the first time I visited Alta Lakes and how breath taking it is. It's a place that truly makes you feel connected to the mountains and to the earth. This is my masterpiece. 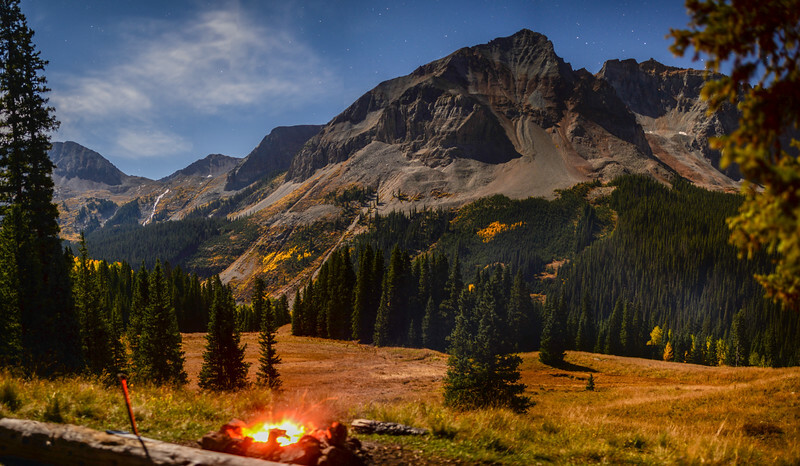 Captured on a fall evening in late September on a quick overnight camping trip. It was one of those times where the timing worked out perfectly. I actually didn't do much with the image and forgot about it until the winter. I applied some new skills in post processing and marketing, and it became the first image of mine to gain significant recognition across the internet. It also hangs prominently in the Ariluna Lodge at the Sophia Retreat and Event Center. 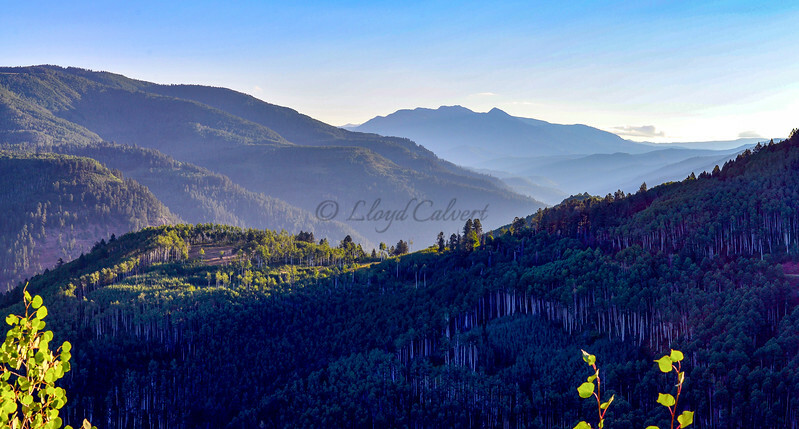 Colorado is known for it's spectacular, crystal clear, azure skies. 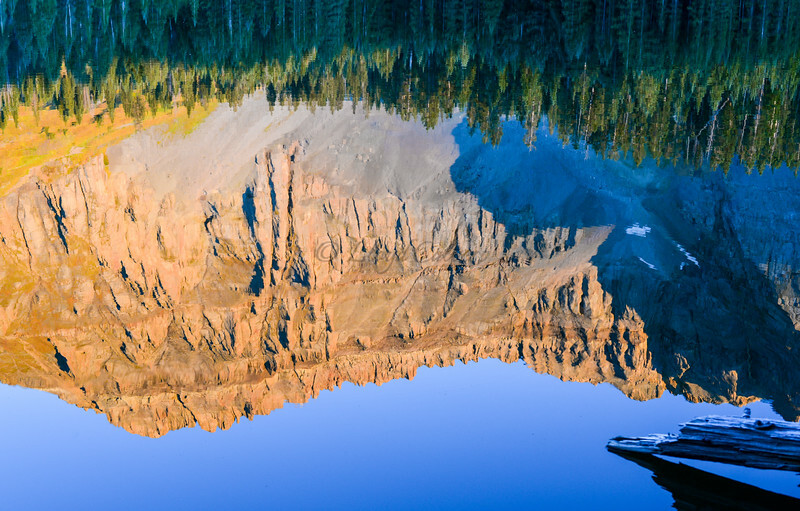 In this shot it is reflected in a perfectly smooth trout lake, truly bringing all of the depth of blue out. 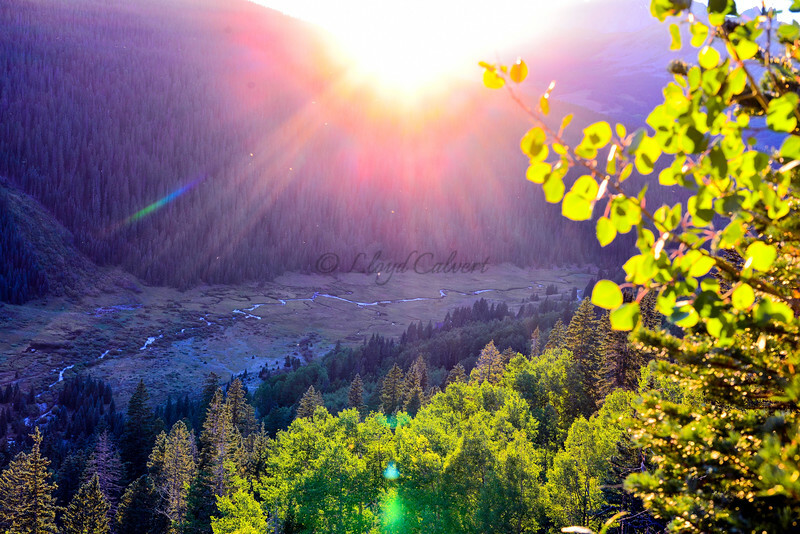 Combined with the vibrance of my beloved Aspen trees, this is one of my favorite images and mornings. 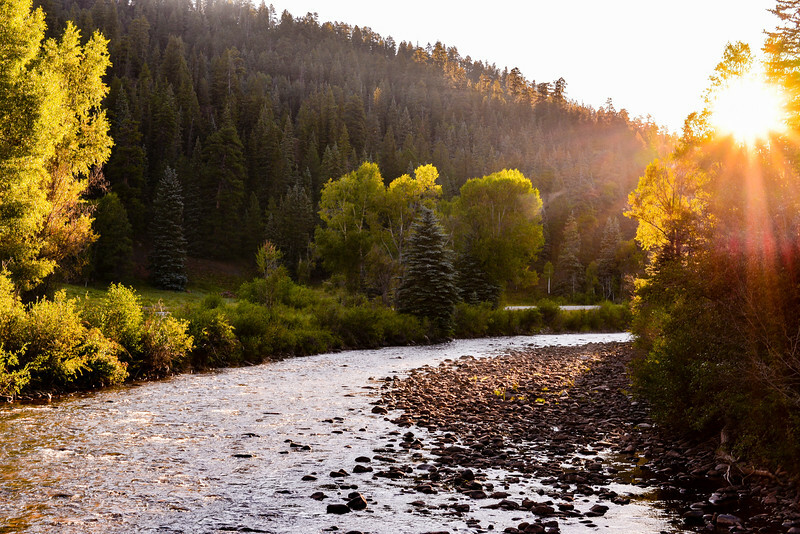 That cool morning air conflicting with the warmth of the sun, the smell of Aspens, and the sounds of silence resonate for me in this shot. This picture also has a prominent place on the wall of the Sophia Retreat and Event Center. 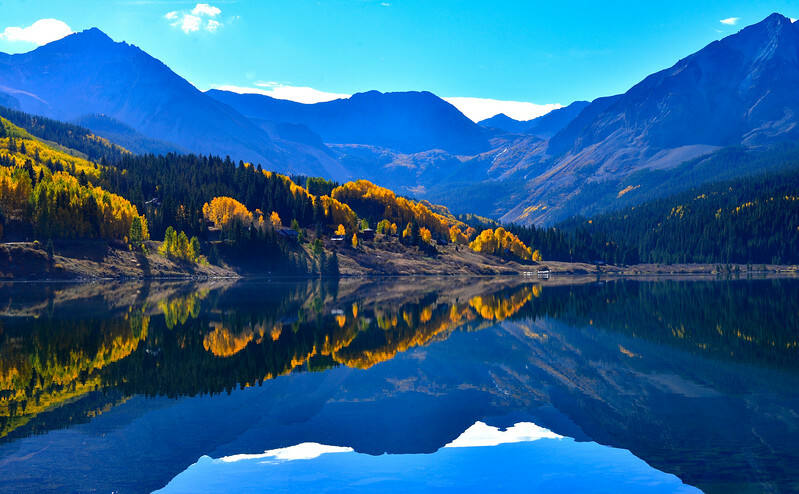 Alta Lakes.... A popular destination around Telluride. I have found that if you want to camp on the lake and mostly alone, you must go when the weather is harsh. This was taken the morning after an early October Snow storm. It was cold, wet, and muddy... but worth it! The morning sunshine, contrast between the snow and the trees, and of course the reflection from the almost perfectly still water make this a favorite of mine, as well as a reminder of the rewards of driving into the teeth of a snow storm to experience the mountains to their full extent. Mt. Wilson from Alta Lakes on a chilly November Morning. On the cusp of winter, with most of the trees fallen, this photograph carries the excitement of the coming winter. 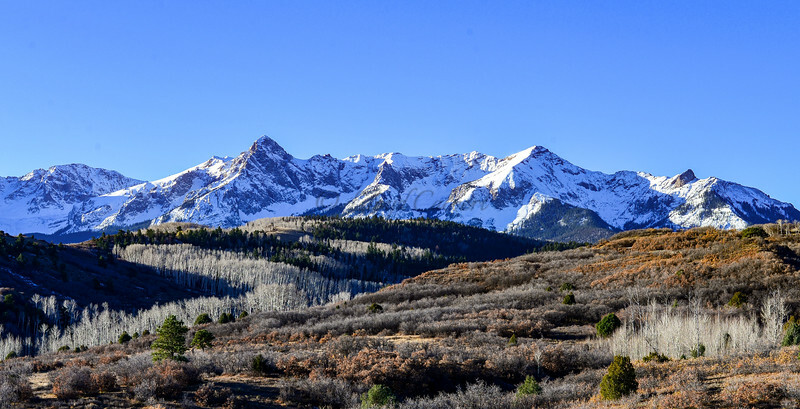 With the beautiful patterns in the white trees, the snow crested peaks, dark pine for contrast, color in the scrub oak, and of course that perfect Colorado sky, this is a favorite of mine from a time that is difficult to compose.